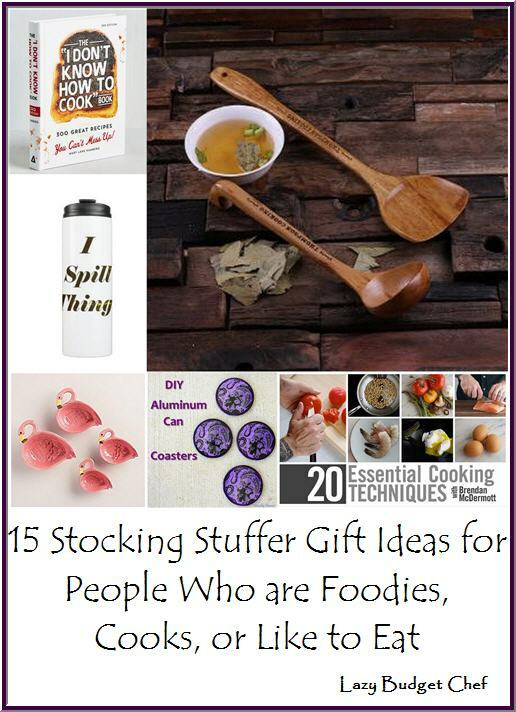 Or for on the go, give my spill proof I I Spill Things reusable insulated stainless steel travel mug my store LNWCreativeGifts! The double stainless steel wall will keep your favorite beverages hot or cold for a longer period of time and is guaranteed to make people smile at the coffee shop! I have this design for sale on handled travel mugs too. Christmas Chai Tea - Spice up your holidays with this lovely loose black tea featuring cardamom, warm cinnamon and ginger. I bought this from my cousin’s tea shop as a gift to myself and to support a hard working widowed mom of two fantastic kids. Including a tea ball is thoughtful when giving loose leaf tea as a gift and the stainless steel Frog Tea Infuser and Drip Tray will not only make them smile but the adjustable arms will keep you tea infuser from sinking into your cup. Even better is the included drip tray. It makes me ask why aren’t they standard? 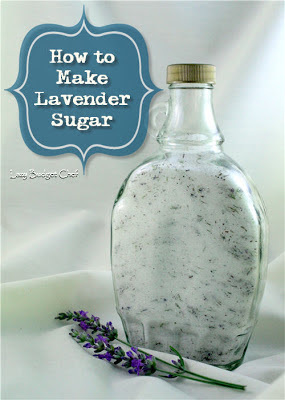 Lavender Sugar Recipe – This little slice of savory sweetness will take your tea and baked good to a whole new level. It’s heaven in a jar I tell you. Gluten-Free Italian Classics: Pasta, Pizza & More (w/Kristine Kidd) on line class is just the thing for the gluten free person on your list. Crumbly gluten-free pastas and pizza crusts are a thing of the past when you have cookbook author and gluten-free expert Kristine Kidd’s recipes and techniques in your arsenal. You will learn how to make gluten-free pastas, flatbreads and even eggplant parmesan, become familiar with gluten-free flours, grains and starches. Then, get tips on selecting and cooking store-bought gluten-free pastas, and create homemade egg fettuccine from scratch. The class includes 7 Streaming HD video lessons with anytime, anywhere access, class materials - including recipes, and the ability to email the instructor with questions you may have about the lessons in the course. Personalized Wooden Spoon and Spatula Kitchen Set by teals prairie – I like cooking with wood utensils because they won’t melt or break easily like plastic but I have never found a wood soup ladle until now! You can engrave a great quote regarding soup if you like or submit your own idea such as your name. Flamingo Ceramic Measuring Cup Set - I have a thing for flamingos. Last summer friends surprised me with a set of these flamingo measuring cups just because they are sweet friends. 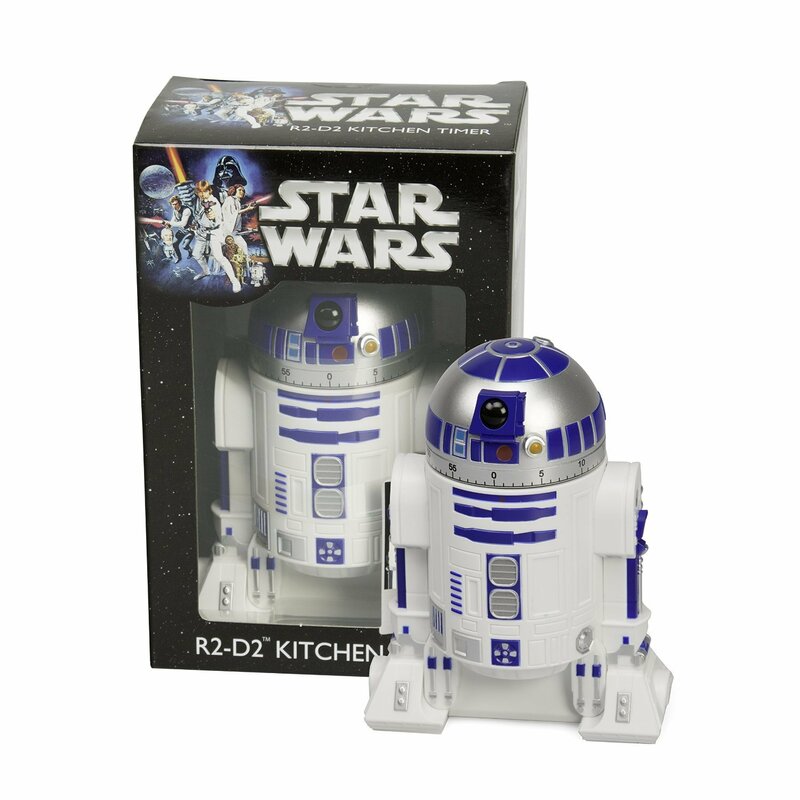 The tail acts as a spout when you pour items out of the measuring cup. Wacky AND practical – what’s not to love about that? 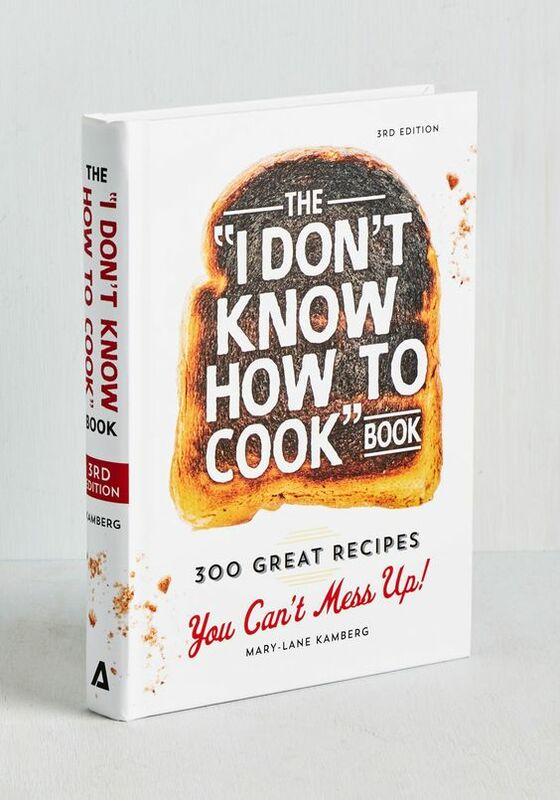 The "I Don't Know How to Cook" Book - This handy cookbook is here! 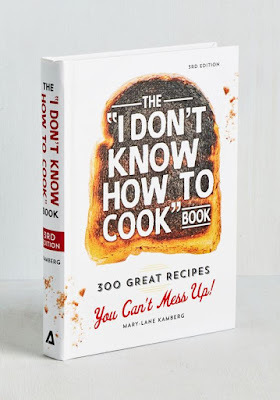 Featuring step-by-step instructions, reassuring tips, and foolproof recipes ranging from granola to gazpacho, this culinary collection will have you cooking up a smile in no time! Don't Make Me Poison Your Dinner Apron from my store LNWCreativeGifts - Give the Mother (or Father) of all Christmas aprons guaranteed to keep your family in line with a laugh with this 100% cotton chef’s apron with pockets! Jelly Belly Organic Assorted Flavors Bag - Set of Two – Because every kid should have candy in their stocking even the people on special diets. These USDA Organic Jelly Bellies are made with non-GMO ingredients. They are fat free, gluten free, peanut Free, OU Kosher Certified, vegetarian candy made with naturally flavored with real fruit juices and purees with colors from natural sources. If you are a sour puss, they also make Jelly Belly Organic Sour Jelly Beans! Kalorik Contempo Stainless Steel Salt and Pepper Grinder Set - Enjoy fresh ground pepper, sea salt, or Kosher salt for every meal with these one touch salt and pepper grinders. A thoughtful gift for someone with limited mobility in their hands or for aspiring little foodies who lack the coordination yet for a traditional grinder. Whiskey Stones – These food safe soap stone ice cube replacements aren’t limited to chilling alcoholic beverages. They are a fanatic way to keep iced tea, soda, and other beverages cold and won’t dissipate in a frost free freeze like traditional ice cubes. DIY Aluminum Can Coasters – These easy to make coasters can be personalized by making them from a can of your favorite soft drink or adult beverage to protect end tables and wood desks everywhere.